Xact Smart Dash for ACT! Xact Smart Forms for Act! The Xact Link for ACT! and MYOB is not compatible with ACT! Premium for Web. The Xact Link for ACT! and MYOB is not compatible with the latest AccountRight Live products. Integration to these products will not be possible until MYOB make addon integration available. If you are running MYOB AccountRight Basic or MYOB AccountRight Plus please contact us for more information. The Xact Link for ACT! and MYOB also requires that the ODBC direct drivers to be installed on the machine where your MYOB AccountRight data file and program are installed, these drivers are usually installed by default but if they’re not then you will need to install them manually. The Xact Link for Act! and QuickBooks can be installed in Act! for Web but can only be accessed though it's desktop application. The following QuickBooks editions do not work with the Xact QuickBooks Link: QuickBooks Simple Start, QuickBooks Essentials, QuickBooks Plus and any of the QuickBooks Accounting range of products. *If you have a different version than listed above, we provide 14 days fully working evaluation subscription. Feel free to contact us if you need more information. Windows Server 2003, 2008 including SBS, 2010. For assistance with downloading and installing this product email support@xactsoftware.co.nz. This document is intended to provide instructions on how to best install and setup the Xact Case Manager. 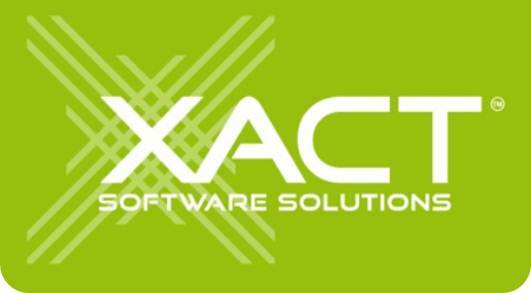 Xact Time and Billing Pro addon does not integrate with the web interface in Act! for Web. The Xact Smart Dash for ACT! is not compatible with ACT! Premium for Web. Note: Smart Dash requires an internet connection to retrieve chart visualisation data from Google, however no data is sent to Google when rendering any of the Smart Dash queries. The Xact Link for ACT! and MYOB EXO is compatible with ACT! Pro and Premium version 12.0 (2010) and above and MYOB EXO version 7.0 and above. The Xact Link for ACT! and MYOB EXO is not compatible with ACT! Premium for Web. In order to run the link you will also need to be running MS-SQL 2005 or 2008 running in mixed authentication mode and Internet Explorer 8 or above. The link is compatible with Windows XP, Vista and 7, 32 and 64 bit. In order to run the link you will also need a Wufoo account. There are no system requirements for this product. Smart Inbox is compatible with ACT! Pro and ACT! Premium, Act! Premium for Web and Act! Premium Mobile - 2013 and beyond. All editions of Quotewerks (Standard, Professional and Corporate) Versions 4.8 Build 1.05 or better.